South Carolina’s wide receiver corp has been a strong point on the offense through the years. Even in the dreadful season when we lost to the citadel, we still had a decent group of receivers on offense. Our current group of receivers is strong but we are always on the lookout for big time wide out recruits to join the squad. 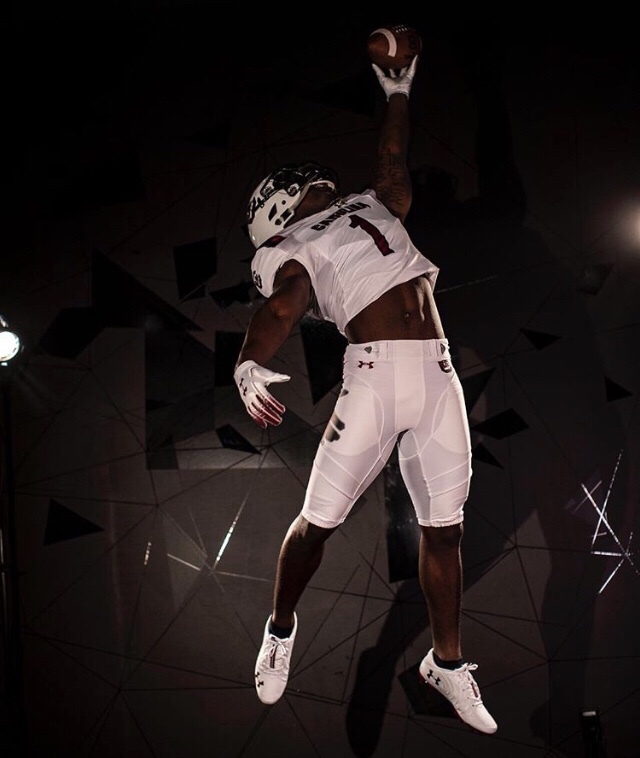 The most recent wide receiver to visit South Carolina was Rakim Jarrett. Rakim hails from Washington DC and is currently rated as a five star recruit and the second ranked wide receiver in his class. 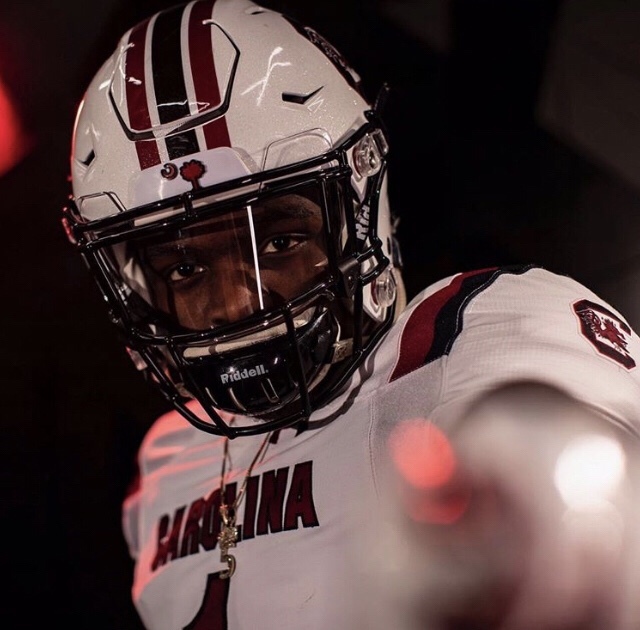 Although 247 sports’ crystal ball rankings have him playing his college ball elsewhere, maybe Rakim’s visit to South Carolina made a good impression on him. Will Rakim Jarrett Commit To South Carolina? What Are The Chances? Rakim Jarrett would be a welcomed addition to the 2020 recruiting class. Although some “experts” are saying that Rakim will commit to Ohio State, Rakim has been visiting a number of SEC schools in recent weeks and seems to have a lot of interest in playing in the best conference in college football. He visited Georgia, Tennessee, and South Carolina this past month and posted pictures from photoshoots at each school on his Instagram. We think there is a decent chance that he will fall in love with the SEC culture and choose a school down south over going north to play in a conference that has not scored a point in the college football playoff since the first year of its adoption. We predict that there is a 70% chance that Rakim will choose an SEC school. As for the odds of Rakim Jarret choosing the University of South Carolina Gamecocks… At the moment the chances are probably around 20%. He seemed very impressed with the new football operation over in Gamecock park. It will be interesting to see how Bryan McClendon recruits this talented young wide receiver going forward. We encourage members of gamecock nation to go give Rakim a follow on social media and show him some love. Let him know that the most passionate fans in the country would love to cheer him on in the greatest atmosphere in college football!